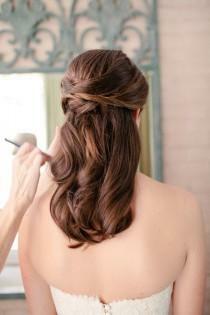 See more about wedding hairstyles, wedding hairs and bridesmaid hairstyles. Today I'm sharing the second hair tutorial from my collaboration with Your Cloud Parade and 10.11 Make Up (you can see last week's faux hawk here!) 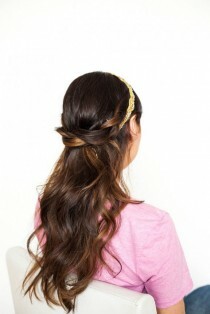 This is a elegant and ethereal a half up, half down hidden braid style would be perfect for boho or casual brides. عرس الشعر. نصف يصل نصف أسفل. 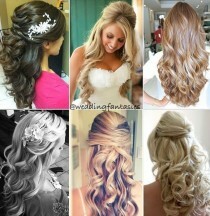 See more about wedding hairs, wedding hairstyles and wedding hair half. 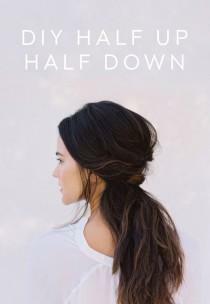 Quick And Easy Half Up Styles For Any Hair Type! 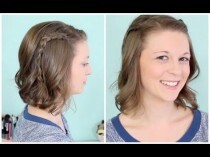 Wedding hair. 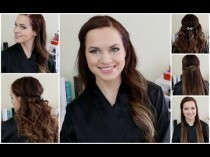 #Wedding #Beauty #Style Visit Beauty.com for all your beauty needs.